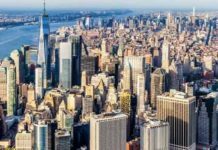 Enter the LG G7 ThinQ Ryan Sweepstakes at whatsitgonnatakeryan.com now for your chance to win a three day and two night trip to New York City, NY from July 25, 2018 to 27, 2018. Trip includes: Hotel accommodations, Round trip, LG G7 ThinQ Smartphone and more from LG. Visit this link:Whatsitgonnatakeryan.com to go to the sweepstakes page. Prizes: One (1) grand prize winner will receive a three (3) day/two (2) night trip to New York City, Trip includes round-trip economy class air transportation to/from major airport nearest winner’s residence/New York, NY, two (2) nights’ hotel accommodations in New York City,ground transportation to/from airport/hotel. Winner will also be required to attend Sponsor-specified events while in New York City. Winner will also receive a customized gift basket consisting of $25 Google Play Gift Card , one (1) LG G7ThinQ Smartphone and a year’s supply of cupcakes awarded in the form of a gift card. Who Can Enter: The Ryan sweepstakes is open only to legal residents of the fifty (50) United States and District of Columbia who are twenty one(21) years of age or older at the time they enter the sweepstakes. 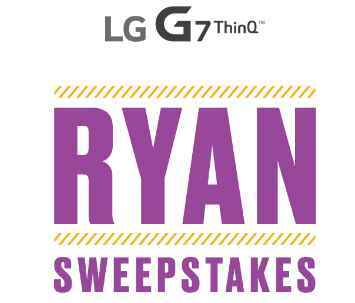 When To Enter: The LG G7 ThinQ Ryan Sweepstakes entry begins at at 10:00 am Eastern Time (“ET”) on June 26, 2018 and ends at 11:59 pm ET on July 12, 2018. Who’s Sponsor: The Sponsor is LG Electronics MobileComm USA, Inc, 1000 Sylvan Avenue, Englewood Cliffs, NJ 07632.